I made a sympathy card for a cousin. I have been intrigued by the monochromatic cards that I have seen lately. So with that inspiration this is the design I made. I like to keep sympathy cards fairly simple. 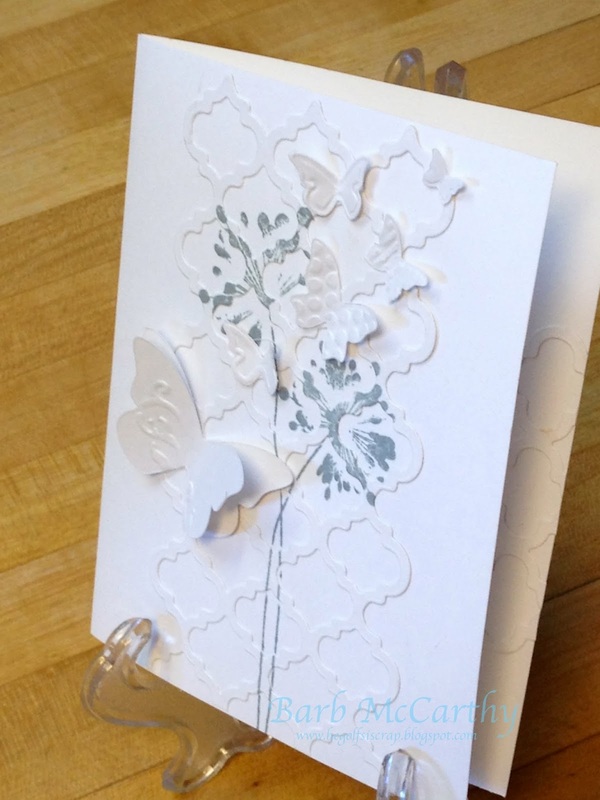 I love this trellis die by Lifestyle Crafts and the butterflies from Sizzix. I am not sure the name of the stamp on the front of the card but the inside sentiment is one of my favorites for the "With Sympathy" set. WOW! 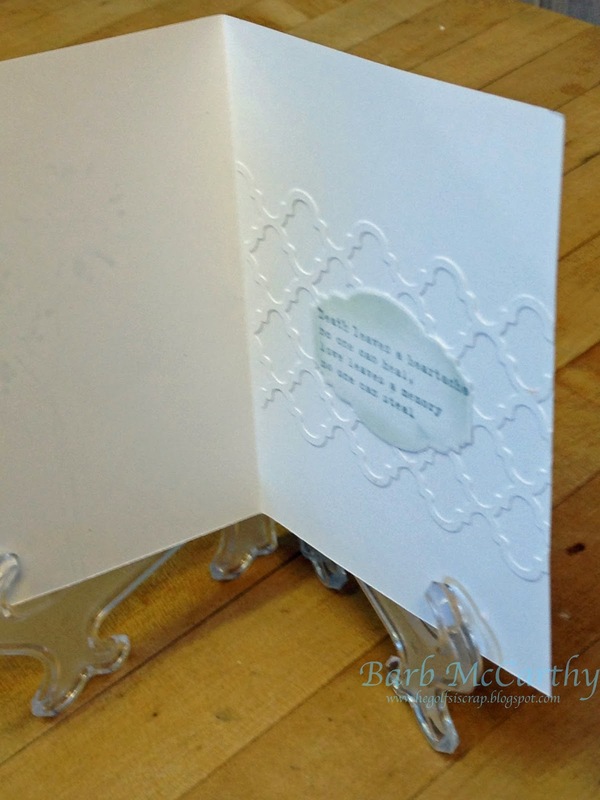 This is a beautiful sympathy card. The all-white works really well. So elegant. I like the texture of it too. Pretty. Very elegant monochromatic design, Beejay. Beautiful card. I love the trellis too. Pretty card! Love the white on white. So pretty in the white on white! So pretty! Love the white on white. What a beautiful card!! Love the die and the soft colours. A wonderful sympathy card.